Guilt and any other emotion that has the capacity to make you move away from God is not of God. Adam and Eve experienced guilt. The Holy Spirit within us will convict us of our wrong. But it is Satan who will try to wrack you with guilt to pull you away from God. The Holy Spirit convicts us to bring us to a place of repentance or regret for something wrong we've done. Adam and Eve were not sorry for what they did and could only offer excuses when God questioned them. But, when we stray against the will of God and go to Him according to His word and with godly sorrow and true repentance, He is faithful to forgive. King David, after the realization that he was the one that the prophet Nathan spoke of, even recognizing the emotion he felt when he didn't know it was him, was immediately convicted; not quilted, of the wrong he had committed. King David went before God with godly sorrow. This prayer is after King David had sinned with Bathsheba and his subsequent plan to have her husband killed. Unlike his predecessor King Saul and unlike Adam and Eve, he was accountable for his actions and acknowledged to God in front of Nathan, that his sin was against God. Nathan, the prophet, shows him the errors of his way and delivers God's punishment for the deeds he had committed. The account does not share with us if King David was already aware of the ramifications of his sin or the condition of his heart when he set in motion his plan to cover Bathsheba's pregnancy. But, we do know, that once Nathan came to him, he did not hesitate to admit his sin. And even at that time, Nathan told him that God had put his sin behind him although God would still chasten him. King David's prayer is a model of how we humbly and with godly sorrow come before the Lord acknowledging our wrong; accepting full responsibility for our actions and asking God's forgiveness. Have mercy on me, O God, according to your steadfast love; according to your abundant mercy, blot out my transgressions. Wash me thoroughly from my iniquity, and cleanse me from my sin! For I know my transgressions, and my sin is ever before me. Against you, you only, have I sinned and done what is evil in your sight, so that you may be justified in your words and blameless in your judgment. Behold, I was brought forth in iniquity, and in sin did my mother conceive me. Behold, you delight in truth in the inward being, and you teach me wisdom in the secret heart. Purge me with hyssop, and I shall be clean; wash me, and I shall be whiter than snow. David lost his infant son as chastisement for the sin he committed, but he continued to serve the Lord and was considered a man after God's own heart. 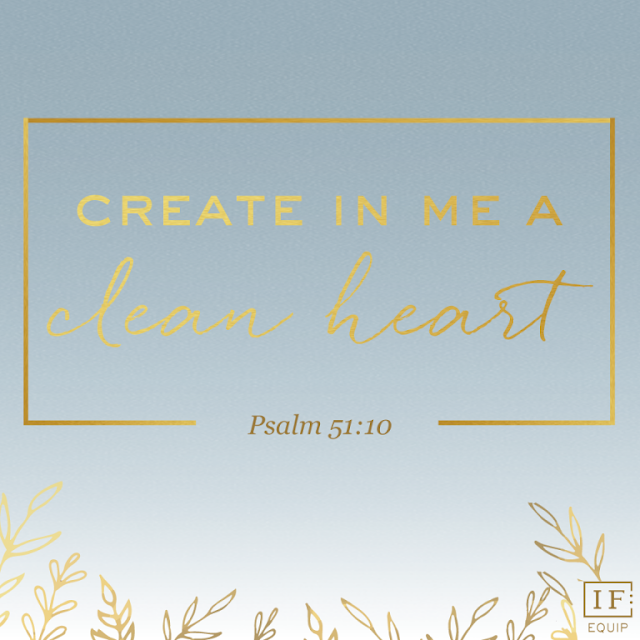 Sometimes, we don’t want the chastisement of God, but on any given day, consider His chastisement better rather than to have Him say, ‘Depart from me you worker of iniquity.’ His word lets us know that He does chasten those whom He loves; not to harm but for our betterment. David readily admitted his sin, he did not try to justify it, he did not blame anyone for it, nor did he harden his heart against God. He didn't wrack himself in guilt and try to hide from God. When confronted by Nathan, He immediately took his situation straight to God. God tells us in His word that when we come to Him in sincerity that He is faithful to forgive us. Thankyou, it was real,it touched my heart,God always forgive.